Eerdmans Books for Young Readers, 9780802854940, 40pp. 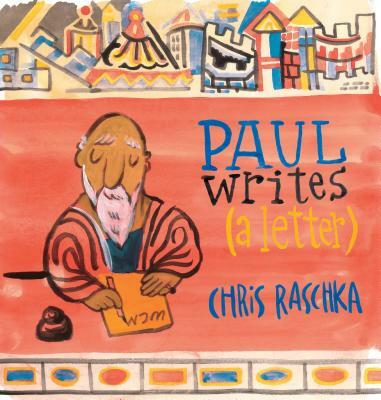 Caldecott Medal-winner Chris Raschka breathes new life into the letters of Paul the Apostle with this inviting book. Each sumptuous page distills the main themes of Paul's epistles into approachable, appealing language. Chris Raschka expertly depicts Paul's sincerity and compassion, sadness and pain, giving readers a true sense of who Paul really was. Paul Writes (a Letter) celebrates how one of the most beloved biblical figures changed the world through the written word. Chris Raschka is a two-time Caldecott Medal winner; he received the award for The Hello, Goodbye Window (Hyperion) and most recently for A Ball for Daisy (Schwartz & Wade). He has been hailed by Publishers Weekly as one of the most original illustrators working today, and he continues to create stories and art that appeal to readers of all ages. He lives with his family in New York City.